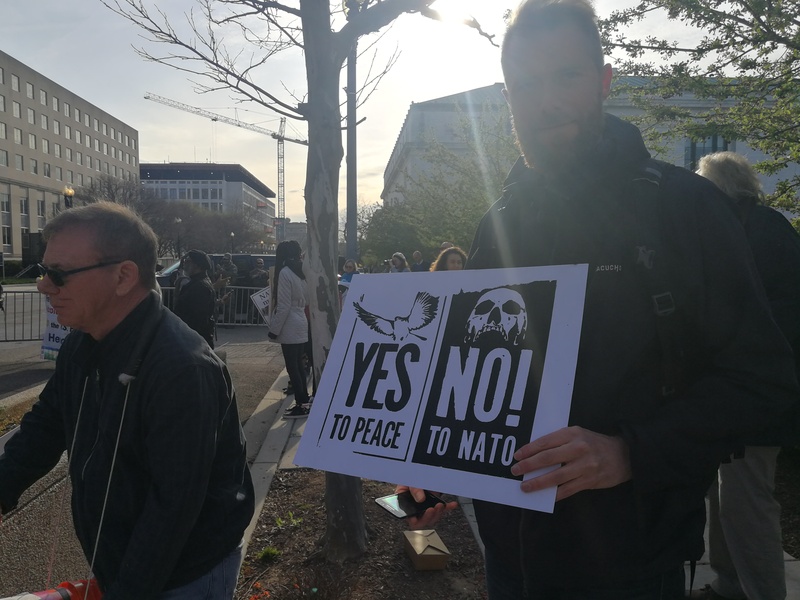 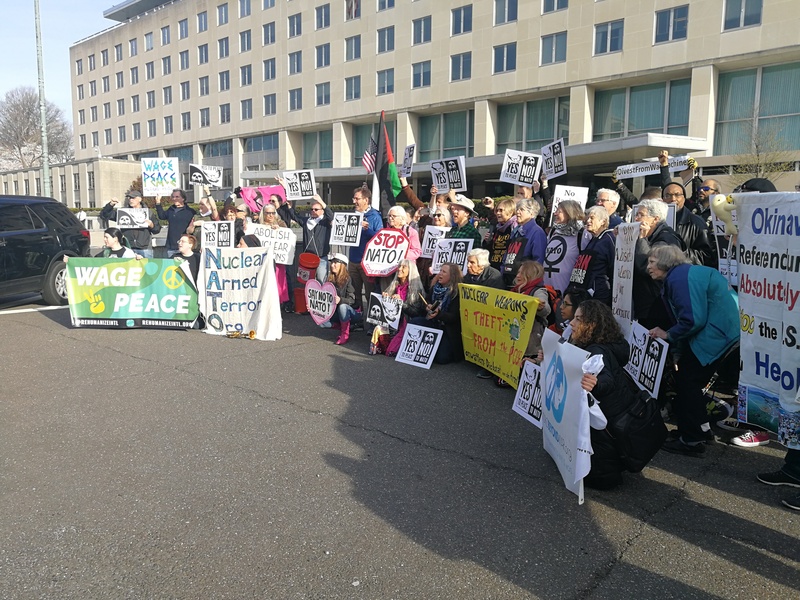 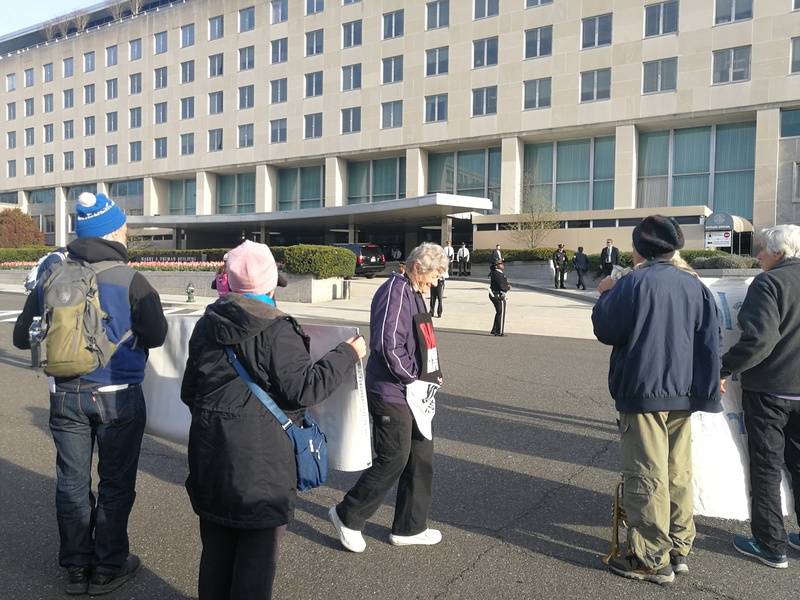 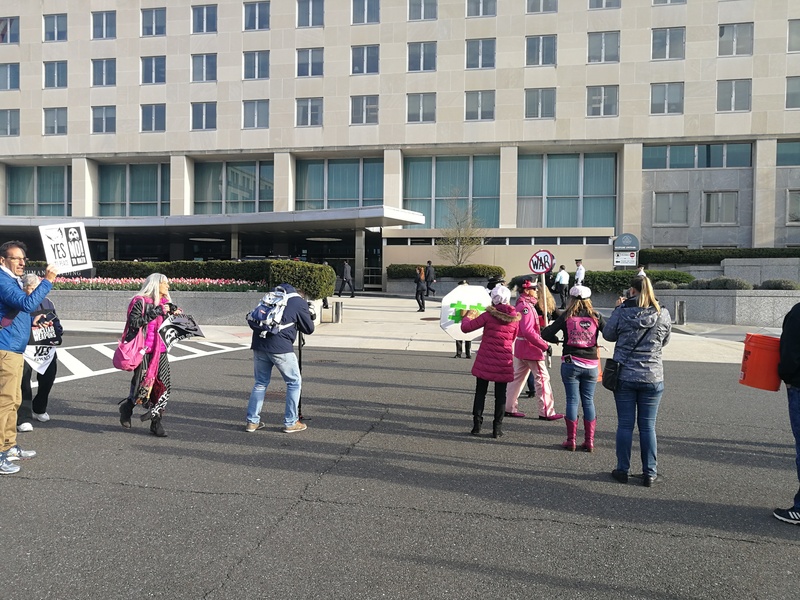 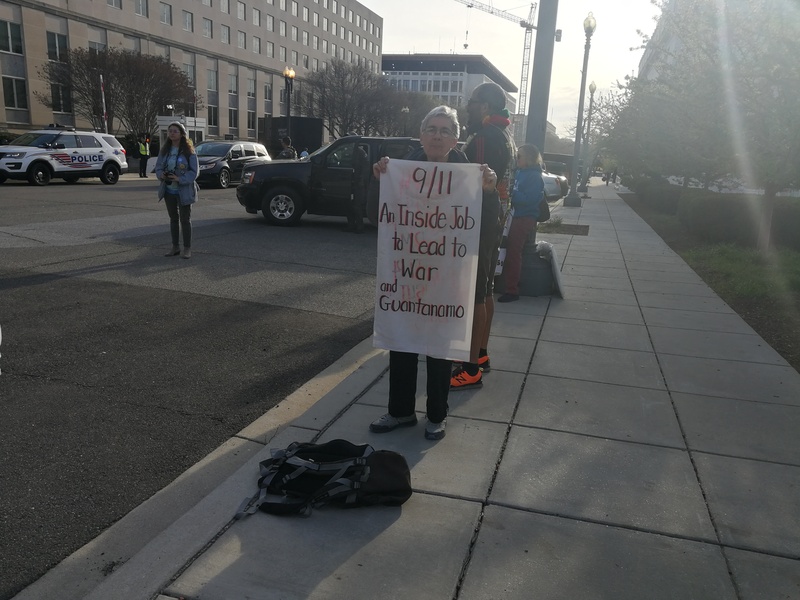 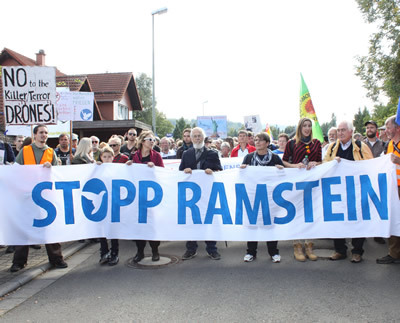 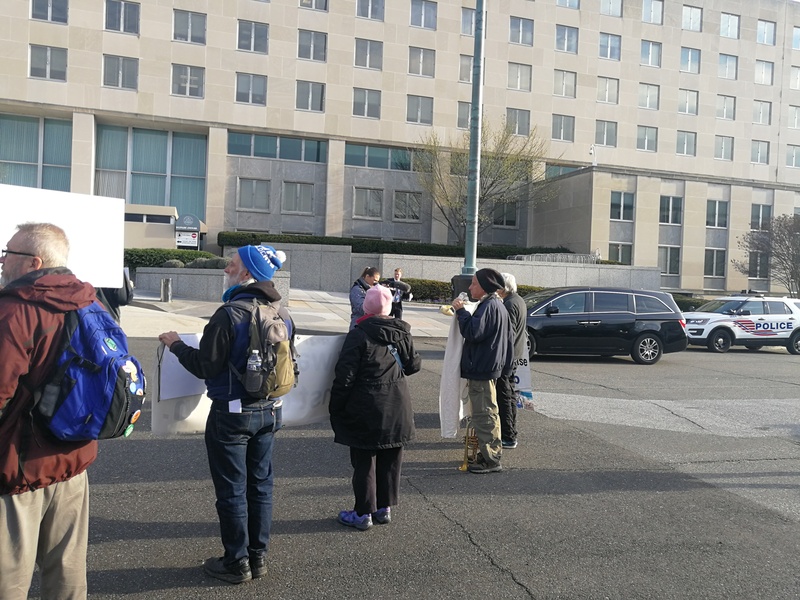 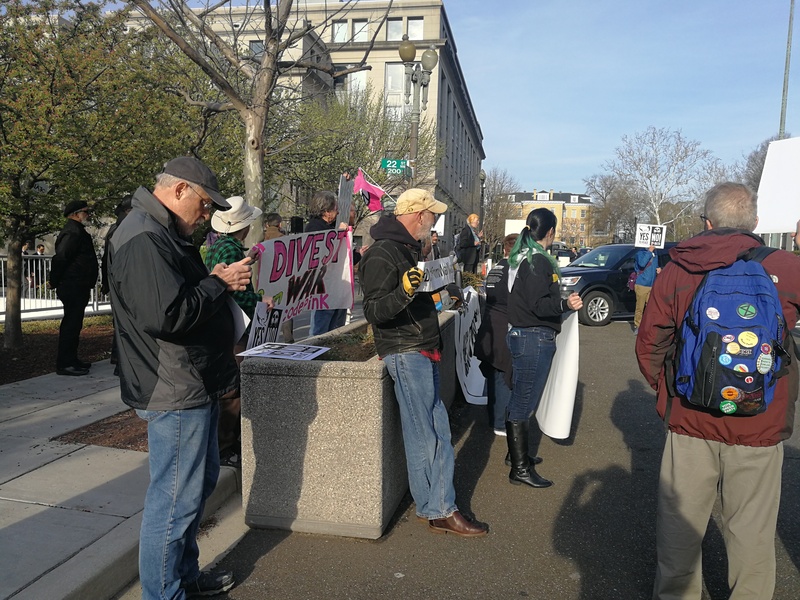 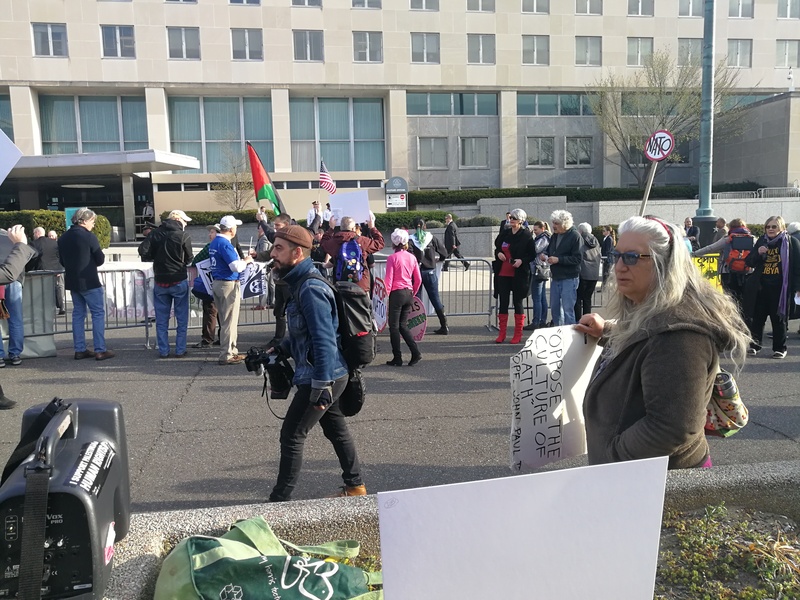 We gathered at 7:30 a.m. at the Albert Einstein Memorial (2101 Constitution Ave NW) or across Constitution Ave if need be — very near where the NATO foreign ministers will be meeting. 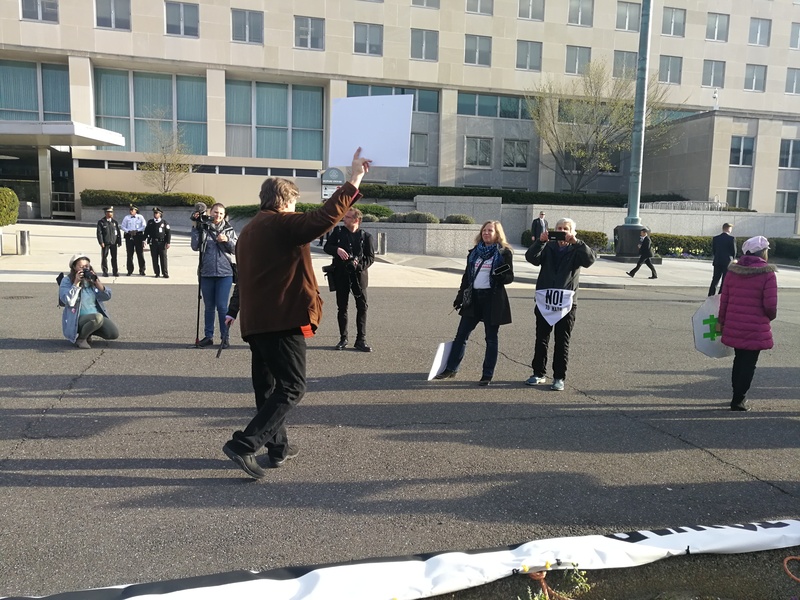 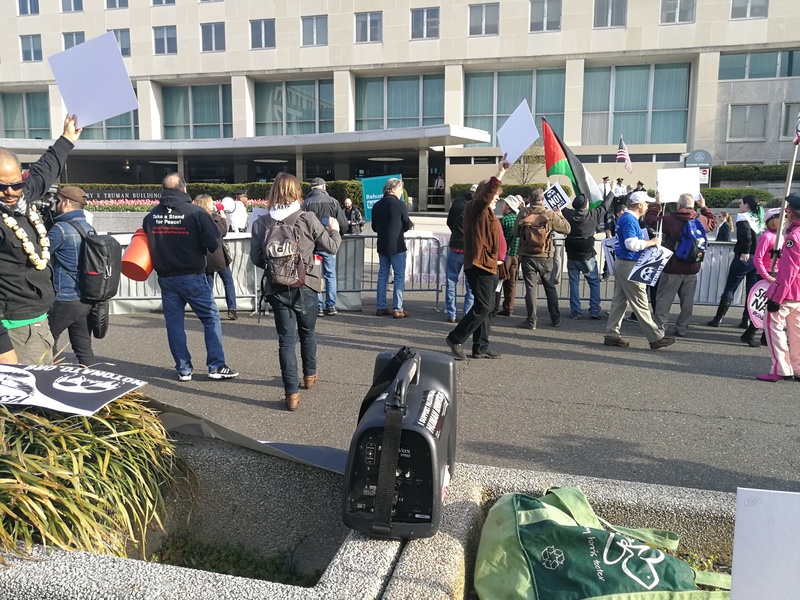 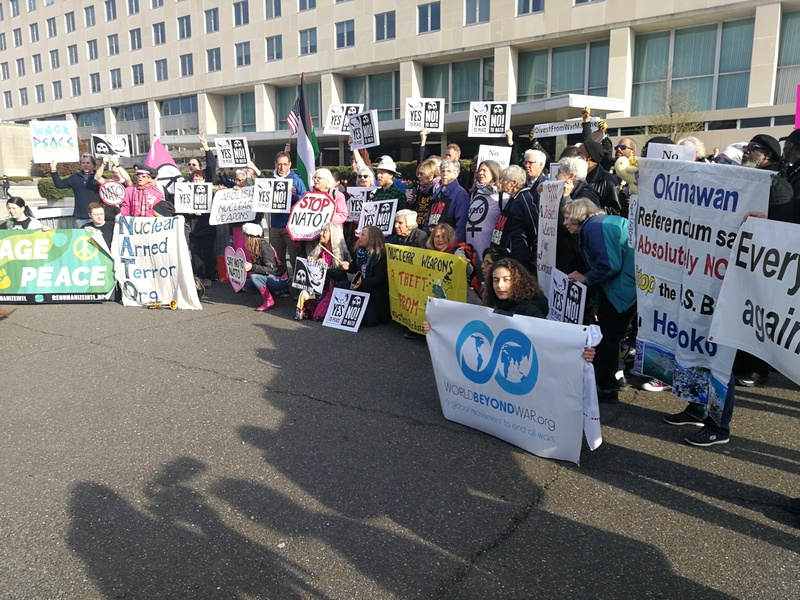 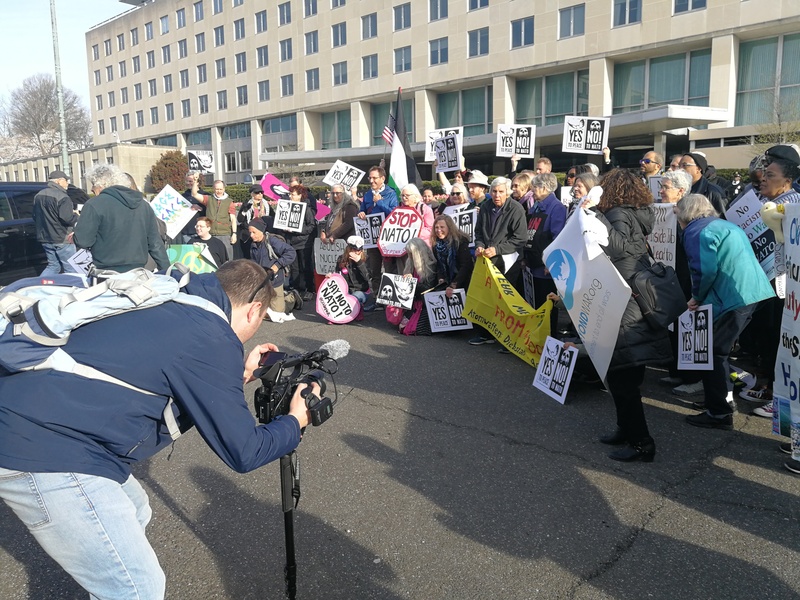 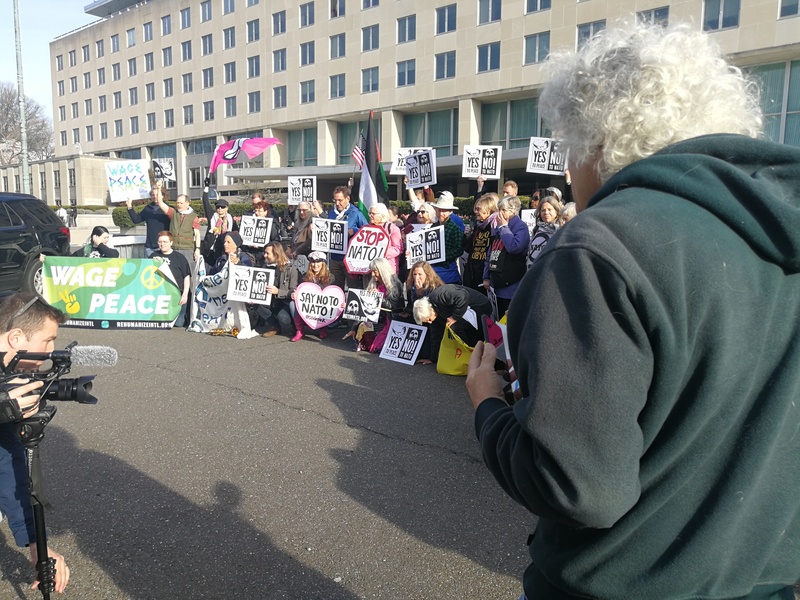 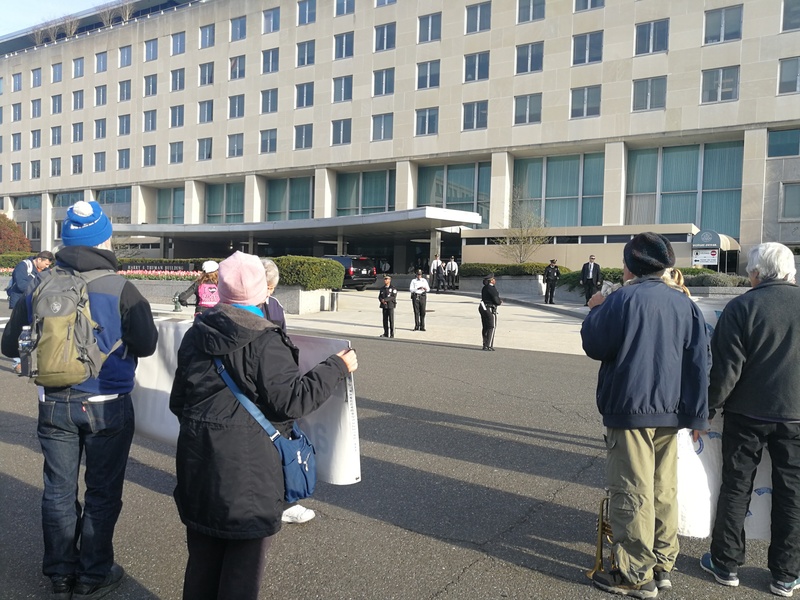 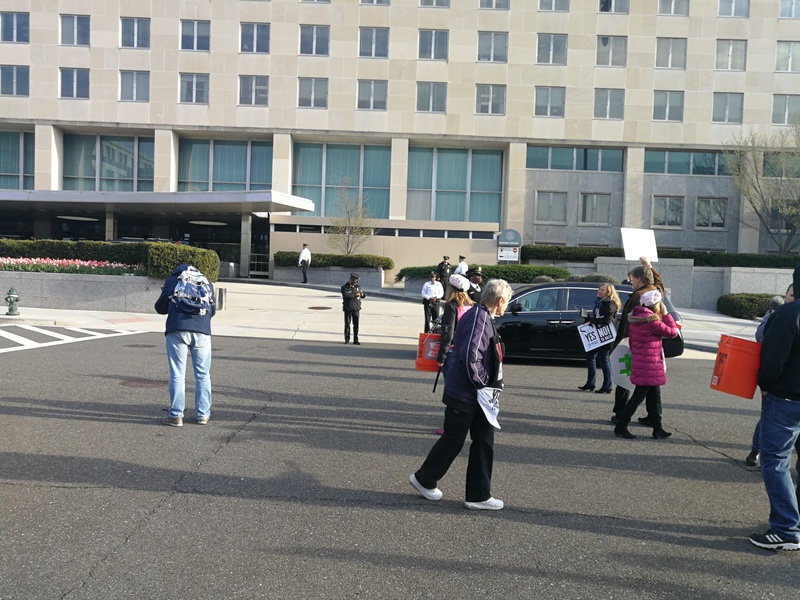 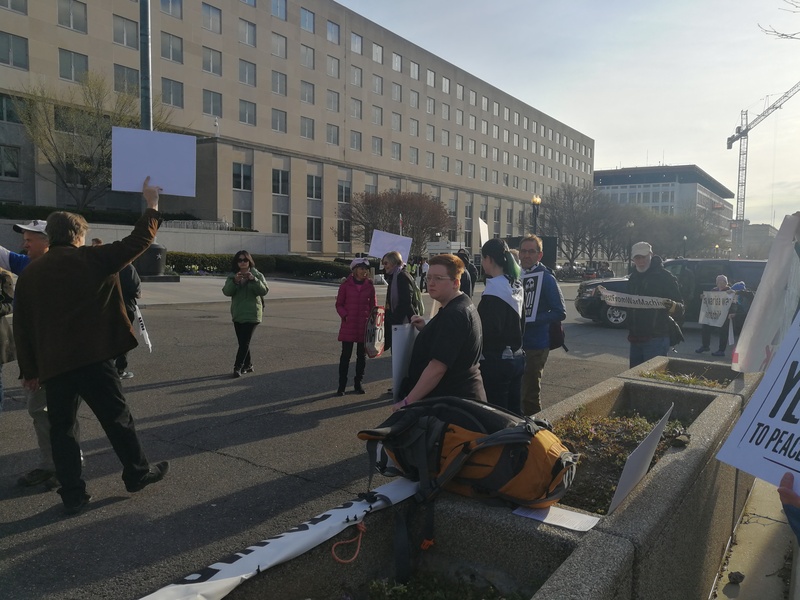 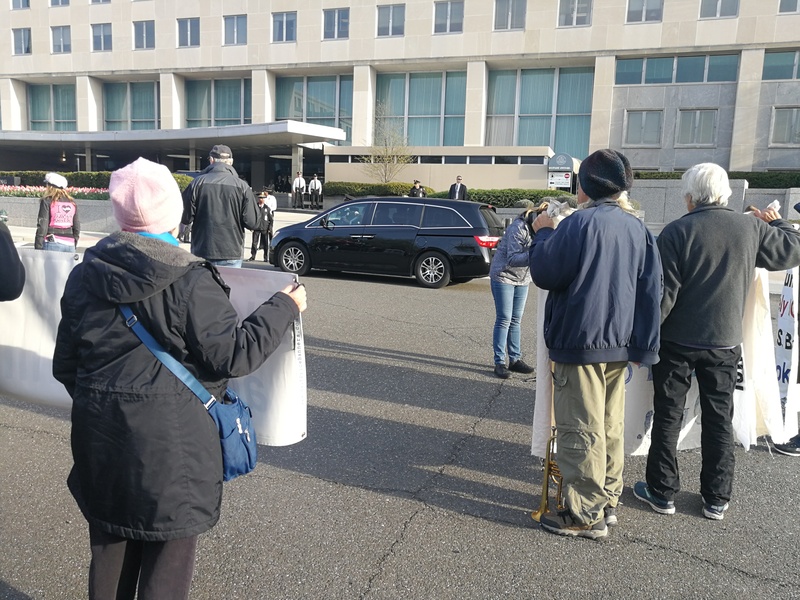 At 8:00 a.m. we heared from our speakers and musicians outside the State Department, protest NATO, and greet meeting attendees. 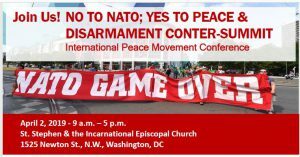 Speakers and musicians will include: Ben Grosscup, Luci Murphy, Megaciph, Art Laffin, Ludo De Brabander, Kristine Karch, Phil Wilayto, Medea Benjamin, Ann Wright.